On Sunday, May 15th, we will be having our annual Members Only Auction and Potluck. We will begin gathering at 12:00pm, and the potluck will begin shortly thereafter. The auction should begin around 1pm. This event has previously been held at the Rochester Community Building, but we are excited to be using the Washington Park Botanical Garden building for this years auction. We will be in the same room that we use for our Plant Sale in August. This event is reserved for current members of CIDS, and your dues must be paid in-full before the day of the auction in order to participate. 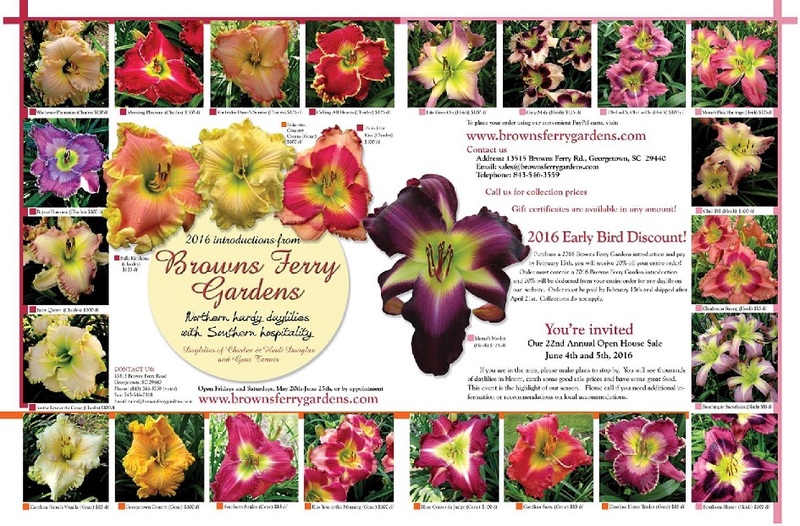 This auction is an opportunity for CIDS members to obtain new daylily cultivars (usually) at lower-than-retail prices. The majority of the plants that will be available for sale are coming from Brown’s Ferry Gardens, which is owned/operated by Charles and Heidi Douglas. The list of plants from this source is located below. CIDS members are encouraged to bring increases from the plants purchased through our clubs Plant Drawing program, and members may also donate other plants to be sold, with all proceeds going to CIDS. This entry was posted in Club News and tagged announcement, auction by admin. Bookmark the permalink.